Anything that adorns our external anatomy is considered a form of fashion, and watches are no exception. In fact, an expensive, high-tech, or historically prominent timepiece caters to the fashionably adroit, and, often screams louder than a well-tailored suit. But what makes someone wear a watch in the first place? For years, the research of psychologists like Dr. Thomas Rammsayer have demonstrated that human personality is linked to how individuals perceive time. Personal qualities like conscientiousness, organization, and emotional stability, have long been associated with ambitious individuals who strive for things like wealth and control. Alexis McCrossen, author of Marking Modern Times: A History of Clocks, Watches, and Other Timekeepers in American Life explains, “during the late 1800s, people felt it was imperative to own and control time rather than obey it”. During this period, only royalty, the elite, and business owners took consideration in owning a personal timepiece. 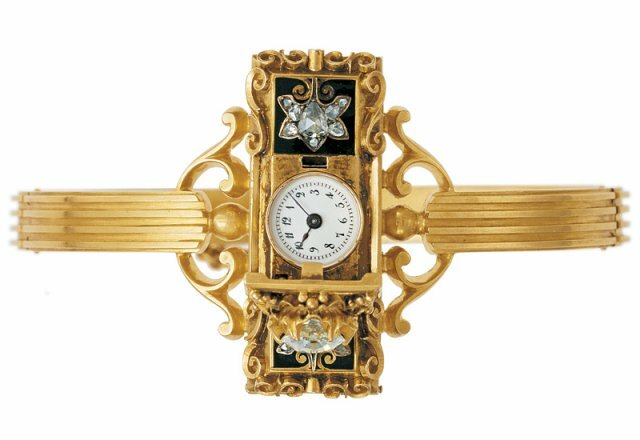 According to a wide-range of historical accounts, the first wristwatch was made for Countess Moscowicz of Hungary by the Swiss watchmaker Patek Philippe in 1868. From then on, women took notice and began donning wristwatches as a fashion accessory. After discovering the practical ease and convenience of a wristwatch on the battlefields during World War I, men became intrigued with the innovative trend, and what was once a fashion statement for women in civility became a fashion statement for men of power. However, it wasn’t necessarily the watch itself that captured the attention of the influential, it was the perceived control and awareness of time. McCrossen believed that, historically, the affluent were drawn to the innovation of time mechanisms because of the psychological perception of control. Consciously controlling one’s time plays into the hands of this type of individual, speaking to their ambition and desire for power. Here’s how it plays out more currently. UK-based psychology professors David A. Ellis and Rob Jenkins conducted a study that measured watch wearers’ levels of conscientiousness compared to those of non-watch wearers. The study took participants from the UK and North America, assessing their responses from the Ten-Item Personality Inventory to measure the "Big Five" personality dimensions: extraversion, agreeableness, conscientiousness, emotional stability, and openness to experience. The researchers discovered that watch-wearers had significantly higher levels of conscientiousness than non-watch wearers. These high levels of conscientiousness are associated with high levels of organization, emotional stability, and of course, punctuality. Ironically, but not surprising, this research also showed that high levels of conscientiousness are linked to higher-earners and achievers. But a high level of conscientiousness isn’t always beneficial to one’s wellbeing. In the same study conducted by Ellis and Jenkins, a high level of conscientiousness in watch-wearers was also associated with low levels of agreeableness, openness to experience and extraversion. These low levels measured against the Big Five personality dimensions equated to individuals who had high levels of unhappiness and stress. The more conscious an individual was about their time or schedule, the less open to experiences they were. Fully experiencing the present moment is difficult for individuals who are obsessed with controlling their time. Eckhart Tolle, author of the hugely popular spiritual book The Power of Now believes that living in the present is the key to happiness. He asserts that time is a mental construct and that living in the past, which no longer exists, or that looking to the future for salvation, which also doesn’t exist, is the norm, but actually a form of insanity. Life can only be really happening now. So, to wear a watch or to not? If you do, considerations must be taken. Ian Fleming once stated, “A gentleman's choice of timepiece says as much about him as does his Savile Row suit”. While it’s no secret that people, particularly the affluent, look to a man’s watch and shoes to define him, the biggest misconception about this idea is that they are looking for exorbitance in these items. And while some do admire the extravagance of an expensive watch, the overall consensus is minimalistic quality over gaudy exorbitance. True to its form, a minimalistic watch with quality can be quite expensive when dabbling in brands such as A. Lange & Sohne, IWC Schaffhausen, and Baume & Mercier. But quality isn’t always expensive — brands like Movado, Frederique Constant, and Larsson & Jennings — and an accessory, like a watch, can provide a psychological perception that expresses your value of time and substance over ostentatious materialism. Enclothed cognition - the influence that clothes have on a wearer’s psychological processes - extends beyond clothing. The studies mentioned tell us that wearing a watch can psychologically solicit conscientiousness, as well as punctual and organizational habits that aren’t found in non-watch wearers. They also tell us that non-watch wearers are often happier and less stressed, enjoying more varied life experiences. Wearing a watch can inscribe different meanings for different people, but like many things in life, the perception of what you do can be more effective than the intention behind why you do it. Releasing the mental construct of time does not have to mean neglecting one’s conscientiousness completely. Wearing a watch, and perhaps more importantly, remembering to to take it off once in a while, both matter in using one’s time wisely. Money and wealth are infinite — they will always be available. But time is finite. When it's gone, there's no getting it back.